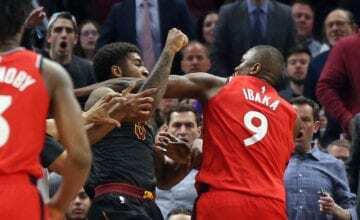 Serge Ibaka Puts What In His Protein Shakes? 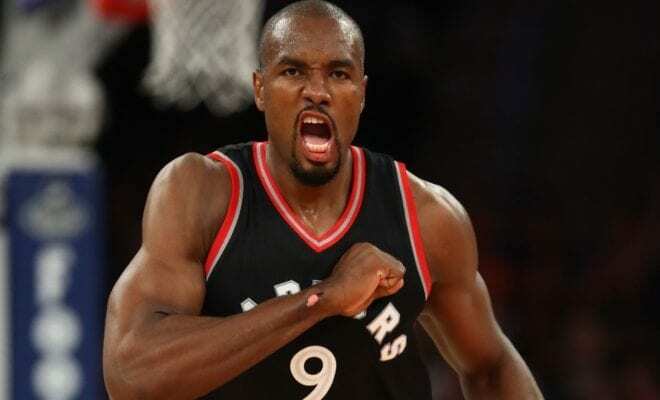 Balling isn’t the only thing that Serge Ibaka has been doing in Toronto. In his spare time the Raptors big man hosts his own cooking show on YouTube called ‘How Hungry Are You?’. It’s not the most creative name in the world, but it’s a cool show nonetheless. So far the Congolese native has cooked pig head for Jonas Valanciunas and Danny Green, lamb brain for Pascal Siakam and chicken feet with soccer star Romelu Lukaku. Ibaka also told ESPN’s Get Up! about a milkshake that he made for Chris Tucker and Dikembe Mutombo on an upcoming episode. 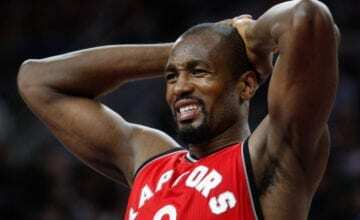 “It was fun, I made them milkshakes of protein with crickets, so it was fun,” Ibaka said. When Ibaka mentioned his protein-rich ingredient, host Mike Greenberg looked like he was going to be sick and asked for confirmation. It was easy to think you were watching Australian television – that’s the only time cricket has ever been mentioned so often. “Crickets is a protein,” said Ibaka when Jalen Rose nearly lost his mind live on air. After some internet sleuthing it turns out that Ibaka wasn’t wrong, crickets offer the same amount of protein as two large eggs and have less calories. Crickets are common in Thailand, Mexico and Ghana, among other countries, but it looks like America isn’t quite ready to embrace the insect-based superfood. But with Ibaka averaging career-highs in points, rebounds and assists, players around the league might just start adding a crunchy new ingredient to their protein shakes.